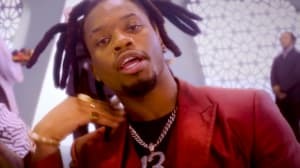 Carol City rapper Denzel Curry has been a poster child for independence in hip-hop this decade. Since his songs "Threatz" and "Ultimate" spread faster than the recent awareness of lo-fi beats, Denzel has managed to successfully sell his music at a time when artists were hesitant to and never have to get an official job. Before touring with Billie Eilish and joining the Greyday Tour, Denzel came by The FADER's office and took a minute to look back at his growth — from opening for artists for free to selling out international venues. Check out Denzel Curry's latest remix project of his song "BLACK BALLOONS"